Happy Friday!! Wow, it was a rough re-entry into non-Disney life this past week, I tell you. But the very spring-like weather we've had the past few days here is making it all ok. I'm having a hard time believing that the weather people are calling for the possibility of a little snow in a few days. I'll believe it when I see it. Anyway....it's the last day of February and I officially have SPRING FEVER. But before we leave winter all behind, my Friday pic today is of a little toddler I snapped walking in the snow a few weeks back. I know it's been a long long winter for many of you. Let's hope it ends soon! Goodbye winter! Had a stressful/tiresome/dreary week? This here will make it ALL BETTER, trust me. Cannot wait for 'Princess Kaguya'!!!!! Totally making this for St. Paddy's day breakfast! Just LOOK at this guy's magical photographs. Another cool stuff list you will enjoy. This is the year I make my own lemon curd! 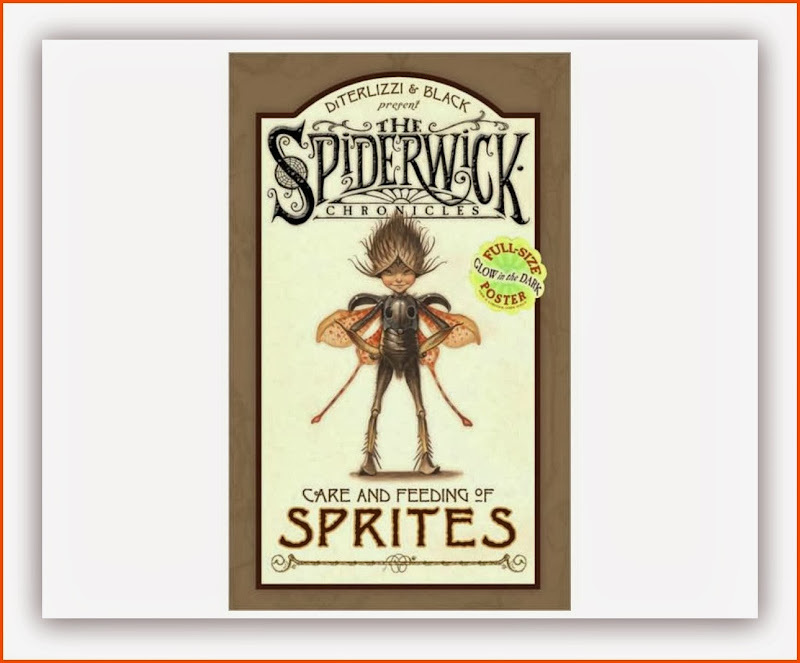 Cool Book of the Week: This past month, Julia has been happily plowing through 'The Spiderwick Chronicles' (about a family of kids adventuring in a magical world inhabited by trolls, dwarves, goblins and faeries.) And much to my surprise, I discovered that this fantastic looking companion book to the series exists, called 'Care and Feeding of Sprites'!!!! I am getting this ASAP. The reviews say the art is hang-on-the-wall incredible and the book is divided into sections like "Obtaining Your Sprite" and "Housing Your Sprite" and "The Many Moods of Your Sprite". I was going to look for it at the library for sure, but this sounds so amazing, if the library doesn't have it, I'm a-gonna buy it. Julia will FLIP over this, I just know it. Have a lovely weekend! Are you watching the Oscars? Idina Menzel will be singing 'Let it Go' from 'Frozen'!!!!!!!!!! Haha! The brother photos are awesome. Curious about The Tale of Princess Kaguya. We want to see The Wind Is Rising, too. The St. Paddy's Day parfait might be a bit much for me. ;) I want to see that whole Tim Walker book, after the Black Apple post. Ahh, Dirty Dancing. I still like that movie. Mmmmm, citrus curd... And I still need to read The Spiderwick Chronicles! Have a marvelous weekend! those brother photos.....oh my gee, i haven't seen anything quite so funny in a long time!!! yeah, that parfait...sounds like teeth might melt eh? and yet, i think we must try. I need to watch Dirty Dancing again, it's been waaaaaaaaaaaaay too long! Dirty Dancing for the win! And I didn't know that Moviefone was actually a THING- I just go straight to Kramer in my head- "Hello, and welcome to Moviefone..."
Love it. 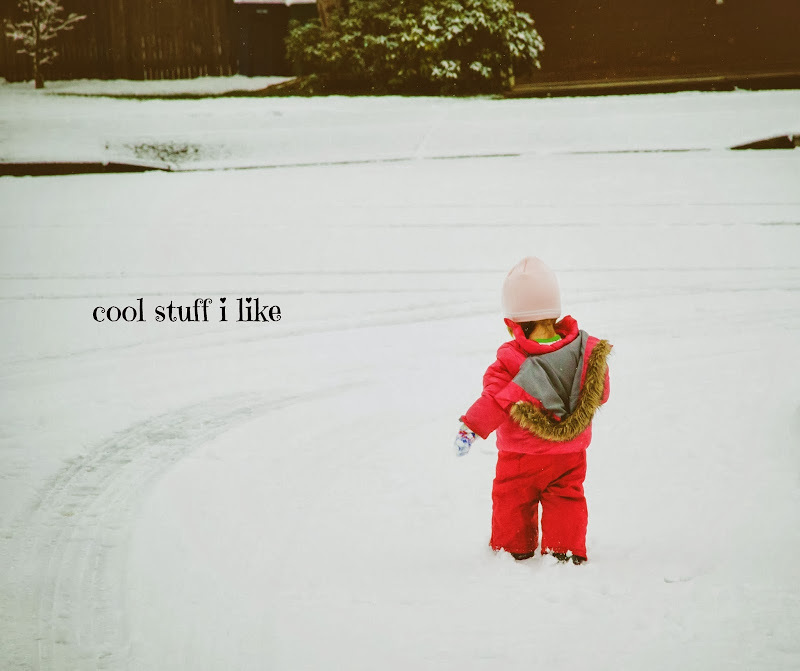 Toddlers are adorable in snow. Whoa that DD post is awesome. I can't imagine DD without PS. I love Billy but it's just not right. can you believe that??? Billy Zane???? i just can't even imagine. I love that photo! It must have been a magical moment for that toddler's first snow walk :) Princess Kaguya is something I must must see! I have been longing for this movie ever since I read your post about it months ago! The Spiderwick Chronicles seems like a book right up my alley! I want to read it so bad! Thanks so much for sharing all these cools links!